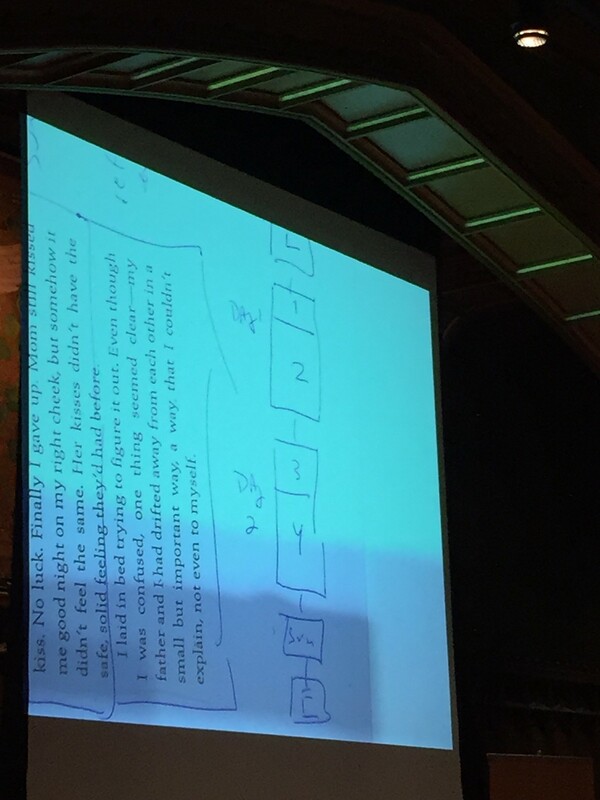 I knew I’d learn something fabulous about the use of mentor texts in writing workshop at Carl Anderson’s session during TCRWP’s March Saturday Reunion, and I did! It was one of those ah-ha moments in teaching practice which all of us long for every time we engage in professional development opportunities. 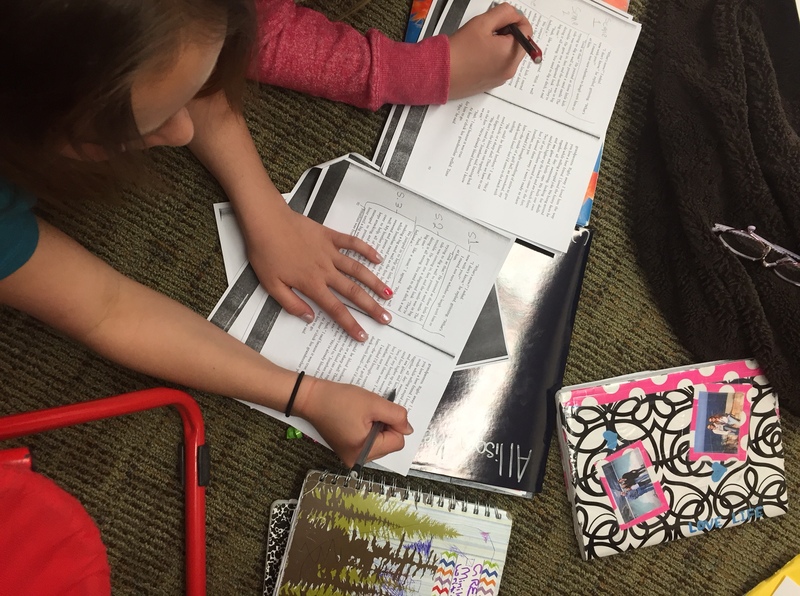 Gather texts we love in the genres we teach, but especially ones that will entice our students. It does no good to share a piece we are wedded to, without considering the needs and interests of our students. Immerse kids in the genre we are teaching in the beginning of the unit, and turn it into a reading event. Here, we need to “find a way to make the genre provocative”, so that our kids will truly be interested in trying their hand at writing memoir, or argument, or whatever. Break down this underlying structure, so that kids can “see” the layout of the piece – from lead to scenes to ending. As I watched my kids working, I was reminded of the truth of what Carl Anderson had said that Saturday morning – writing is an act of making choices, and our kids need lots of practice with mentor text work to get better and better at knowing how to make those craft decisions that help writers embed meaning into the text. 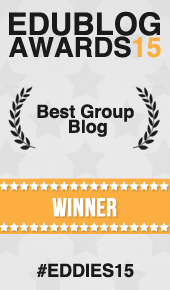 Great post, Tara… as usual! 🙂 Thanks for sharing your notes/thoughts/learning from Carl’s session at the Saturday Reunion. Makes not being able to be there a tad more bearable. I also appreciate you sharing what you did with your learning when you returned to your classroom. I always learn so much from you, and it’s easy to see why your students love you. This is so helpful, Tara. Thanks for sharing your notes and, more importantly, showing us how you did it in your own classroom. I love Carl’s thinking about this… makes it so much clearer to me, too. Thanks! Tara, I love how complete the description is: your notes from conference, your model marked up, and then your students at work. Does the process break down along the way for some children? If so when and where? What do you make of that? We take it very slowly, and the collaborative practice really helped. Lots of talking through the thinking. You always have outstanding “kid” work to share. It’s obvious you’ve built a love of writing in your students, which is so powerful. Carl was my section leader at TC a few summers ago – we spent a week on mentor texts. I still return to my notes from that section. 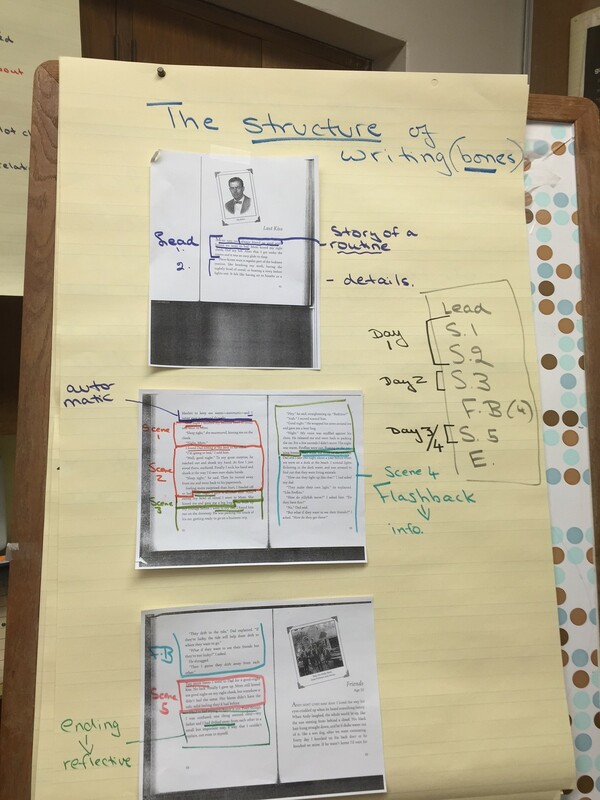 When kids can deconstruct texts, they are able to construct more easily. Thanks for always keeping us (teachers and coaches) updated, informed and refreshed! I followed the reunion via Twitter and it seemed like an energizing day to renew your passion. This post was helpful to me as we are about to embark on a writing unit on speeches and editorials in my 3rd grade class. Thanks! Wonderful to see your students do this work! Beautiful post on this session. I spent the 2013 writing institute learning from Carl about structure. We did lots of this work with him. 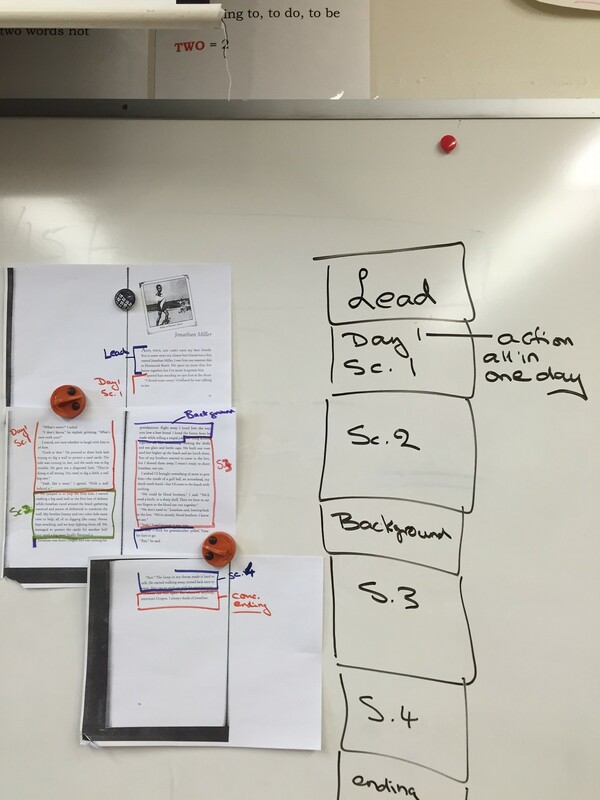 Mapping texts like this is so valuable!